The Milwaukee Brewers had planned to give Mike Moustakas a shot at second base when they acquired him in a trade deadline deal last year. The move never happened because Travis Shaw took to the position so well that it wasn’t necessary. With Moustakas signing a free agent deal with the Brewers this week, the opportunity to keep Shaw at third and try Moustakas at second is in the works. Moustakas has never played second base at the Major League level, but Brewers manager Craig Counsell said this is what Spring Training is for. Counsell said whoever plays second base, they will still have some third base time but one of them will be the primary second baseman. The Brewers first full squad workout is Tuesday. They’ll open Cactus League play against the Cubs on Saturday. After spending the second half of the season with the Milwaukee Brewers in 2018, Mike Moustakas is returning to the team, agreeing to a one-year deal with club and player options for 2020. 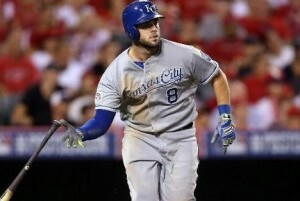 The deal is reported to be worth $10-million but can’t be finalized until Moustakas passes a physical. The signing means Moustakas will take over once again at third base and Travis Shaw will spend most of his time at second. Moustakas played in 52 games with the Brewers last season, hitting .256 with eight home runs and 33 RBI. For the entire season, he hit .251 in 152 games with 28 home runs and 95 RBI. Had the Brewers not resigned Moustakas, second base would have likely been handled by a platoon of players, including Hernan Perez, Tyler Saladino and Cory Spangenberg. 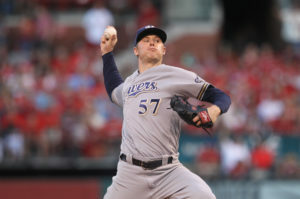 The Milwaukee Brewers exploded for five runs in the first inning and this time never looked back, knocking off the San Diego Padres 8-4 on Wednesday night at Miller Park. Jesus Aguilar, Travis Shaw and Eric Thames clubbed back-to-back-to-back home runs in that second inning. Orlando Arcia and Christian Yelich also homered for the Brewers. The Brewers poured it on Padres rookie Brett Kennedy, who made his Major League debut after going 10-0 at Class AAA El Paso. At one point in the first inning, the Brewers collected seven straight hits off of Kennedy. Jhoulys Chacin went six innings for the win, improving to 11-4. The Brewers and Padres play the rubber game of the series this afternoon. Junior Guerra faces Robbie Erlin in the pitching matchup. The Brewers start the day a game and a half behind the Cubs, who lost in Kansas City last night. 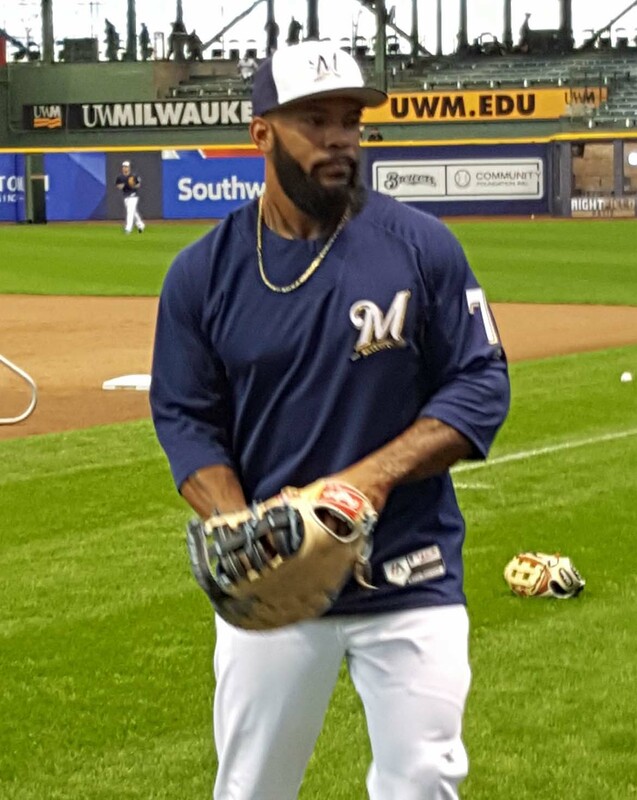 Eric Thames clubbed a three-run homer in the third inning to lead the Milwaukee Brewers to a 5-2 win over the Los Angeles Dodgers at Chavez Ravine. Travis Shaw and Jesus Aguilar also drove in runs for the Brewers, who improved to 4-1 on their 8-game West Coast road trip. Josh Hader pitched two innings of scoreless relief to earn his fourth victory. Manny Machado’s first home game with the Dodgers was spoiled by the Brewers victory. Machado did hit a solo homer in his Dodger Stadium debut. Kenta Maeda didn’t make it out of the fifth inning to get tagged with the loss. 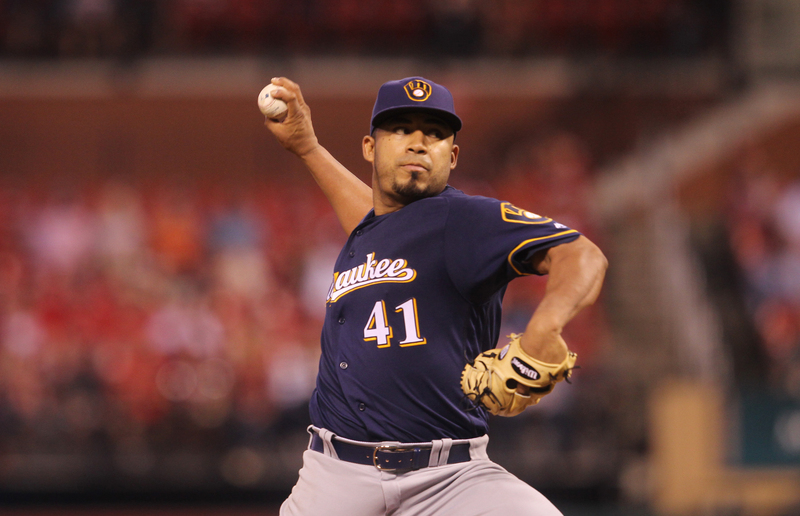 Rookie Freddy Peralta started for the Brewers but pitched out of trouble and allowed a run on three hits in four innings of work. His pitch count reached 98 pitches in four innings and he was removed in favor of Hader. Peralta allowed one run and three hits while walking four and striking out six. The win allowed the Brewers to pull within a single game of the idle Chicago Cubs in the Central Division. The Dodgers are up just 1/2 game over the Diamondbacks for the top spot in the NL West. The Brewers will send Wade Miley to the mound in game two of the series tonight. Miley is 3-0 in six career starts lifetime at Dodger Stadium with a 2.41 ERA.